Since 2012 the Daily Mile initiative has been growing throughout schools across the UK. Each year schools are installing an easy way for children to take part in their mile a day fitness activity. The aim of the plan is to increase fitness in children and help decrease childhood obesity. 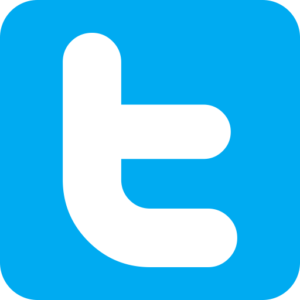 This has already shown an increase in attention in schools and an improvement in physical fitness abilities and emotional responses. 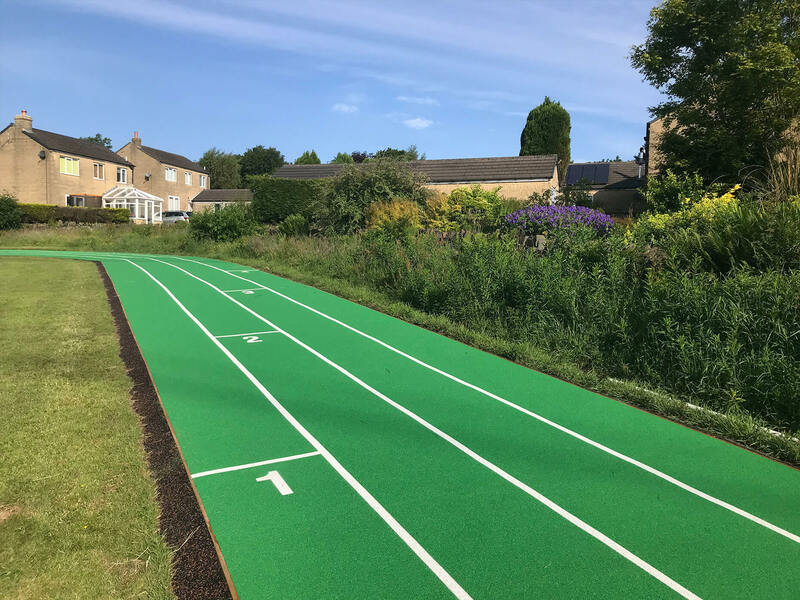 The Wetpour running track is great if you are looking for a wow factor, as this can be created in a wide range of colours. Wetpour does need a base if installed into grass so this can make this a slightly more expensive option but on an existing hard surface it is the perfect choice! The installation shown at Barkisland School is a 3.2m wide and 200m long wetpour daily mile track. 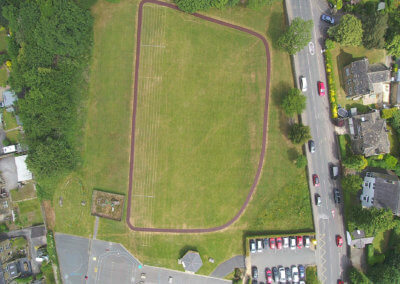 The site has type 1 stone baseworks with a SUDS bond mowing strip so the track can be kept in top condition all year round. 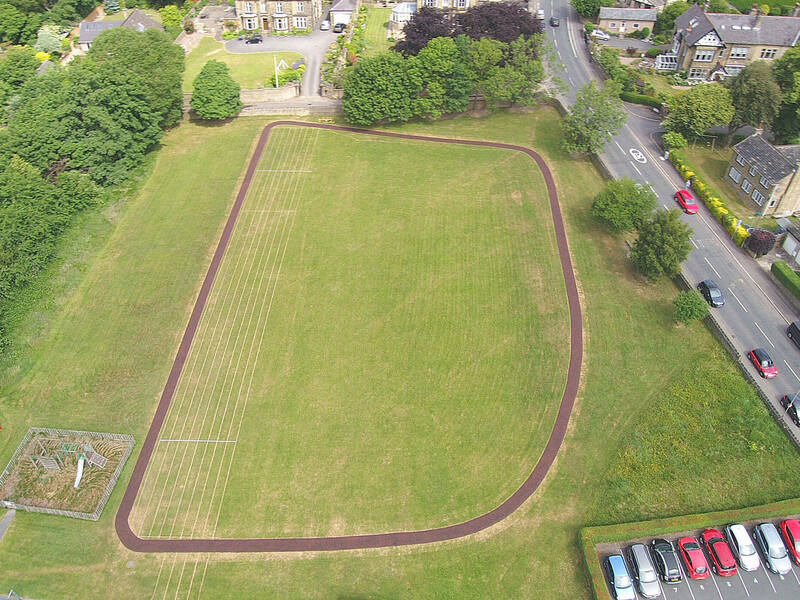 We also included line markings for a four lane running track. 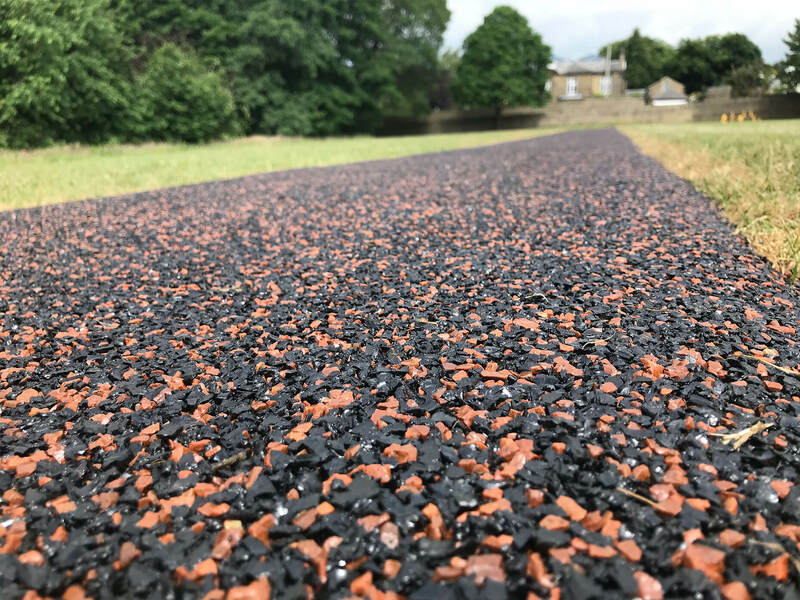 Wetpour is a fantastic surface choice and our wet pour surfacing has been fully tested to BS EN 1177:2008 to help make you feel safe when investing in a track for your school. If you would like to see our choice of colours and previous projects please visit our main page here. 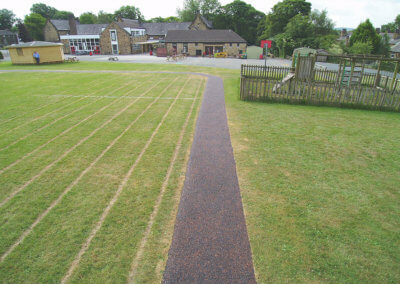 We installed this great daily mile track at Lightcliffe Primary School. 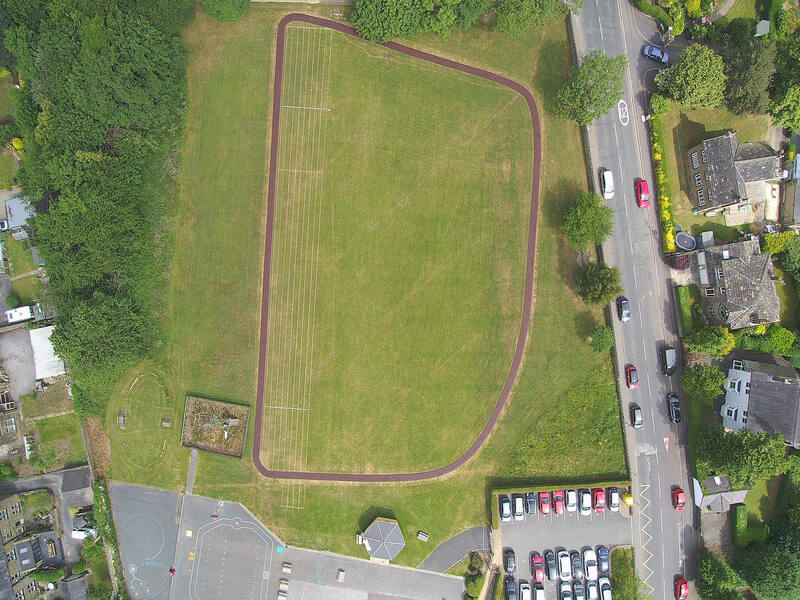 The school were looking for the largest track they could fit in their existing field space which is the reason for the unusual shape, the SUDS solution was used to lower cost so the track could be installed straight onto grass. 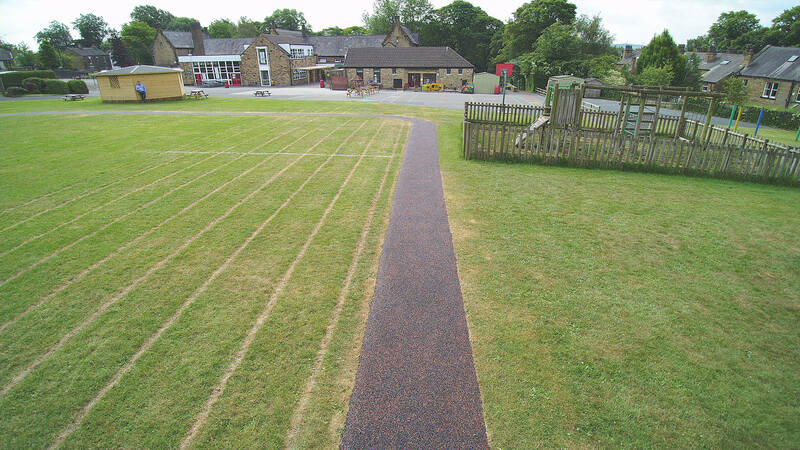 The SUDS Bond also has fantastic drainage properties so the school could be assured that there would be no surface water build up which in turn causes a risk of ice in winter months. 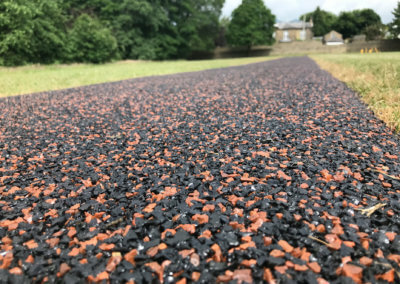 All our SUDS surfacing is compliant with BS EN 14877 for water infiltration rate which exceeded the minimum requirements of 150mm/h. 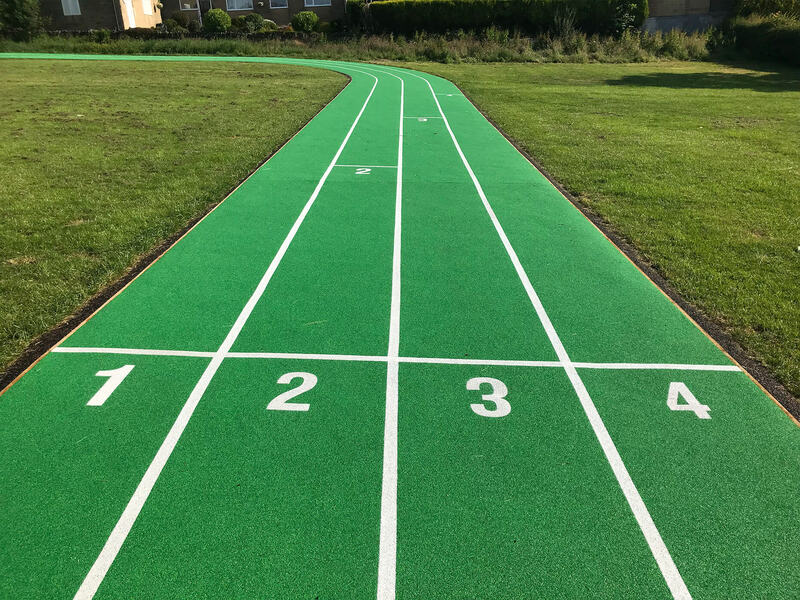 This track will withstand the high impact of children running on the site daily and offer a stable environment to complete the daily mile fitness challenge. Find out more about SUDS. 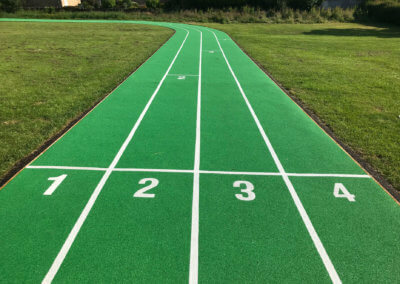 The price of each track depends on a variety of factors such as length, width, location and materials. 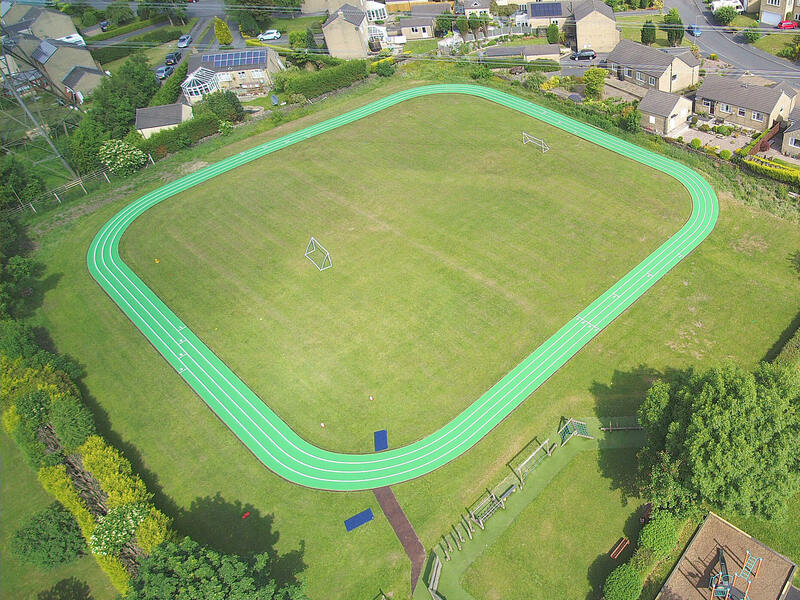 We like to price each Daily Mile track separately so please get in touch to discuss the different options available and we can advise on the size of the running track which may be suitable for your space. 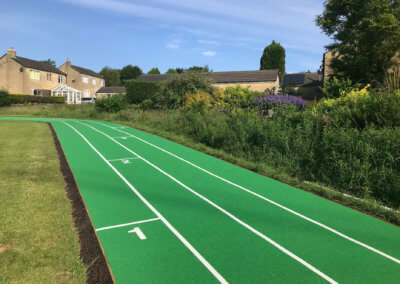 If you have an idea of the length, width, and/or location please do let us know with your Daily Mile inquiry as this helps make our price more accurate. If your track is going straight onto grass we highly recommend SUDS bond drainage solution as this does not require base works.